I was recently interviewed by Quirks and Quarks, CBC's popular science radio show, about some of our recentwork looking at the double-slit experiment. The interview should air this Saturday (June 4th) at noon so be sure to tune in. 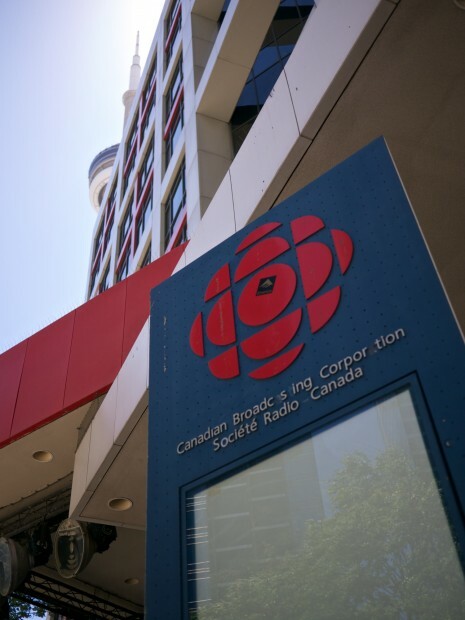 You can listen online at the CBC Radio website, or tune in later via their archives or podcast. 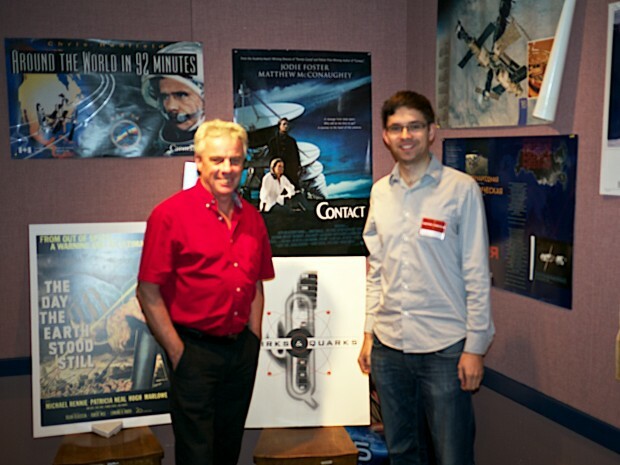 I have always been a big fan of the show so it was a thrill to be given the opportunity to be interviewed by Bob McDonald. I took the bus into Toronto and arrived at the CBC studios downtown. 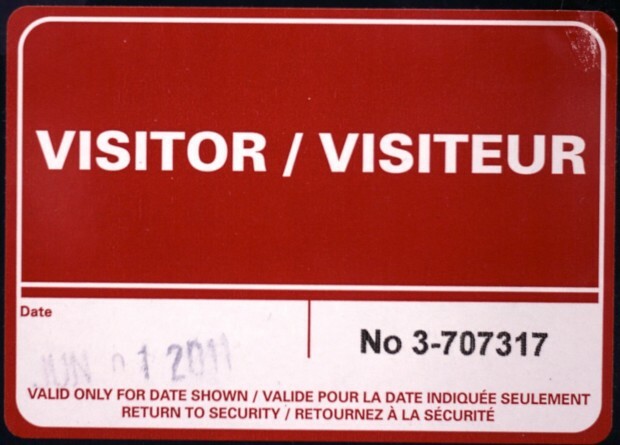 I was then given a visitor pass and escorted up to the Quirks & Quarks offices where I met the producers and the host. I was really impressed by the whole operation; these are people who really care about science and bringing it to a larger audience. Everywhere I looked there was science related memorabilia. Bob McDonald is a fantastic interviewer. Funny, smart, and charming with the ability to instantly put you at ease. The recording studio is covered with various posters he has acquired. The crown jewels of this poster collection are two from one of the control rooms at the Russian space agency. While Bob was visiting as part of a documentary, he asked where he could get a poster like the one hanging on the wall as a souvenir. One of the people working there plucked the posters off the wall and presented them to him. Very cool and very hospitable. You can see the posters on the wall to the right of me in the photo below. At the end of the interview I got a signed post card. I was given my choice of postcard, but this one had the best story behind it. A (different) copy of it was taken up into space. 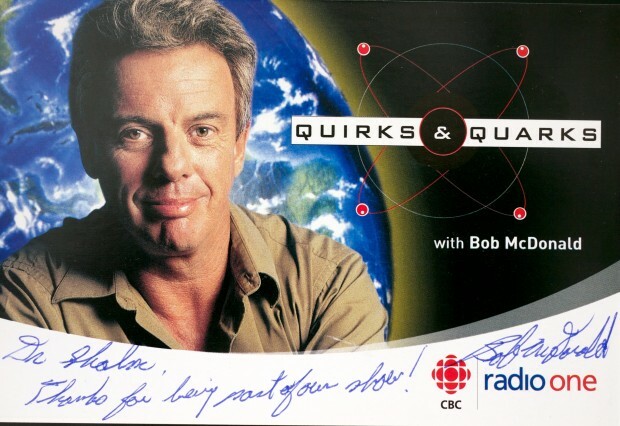 Above Bob McDonald's desk is a framed photo of this postcard floating in space above the Earth. This made my inner nerd very happy.